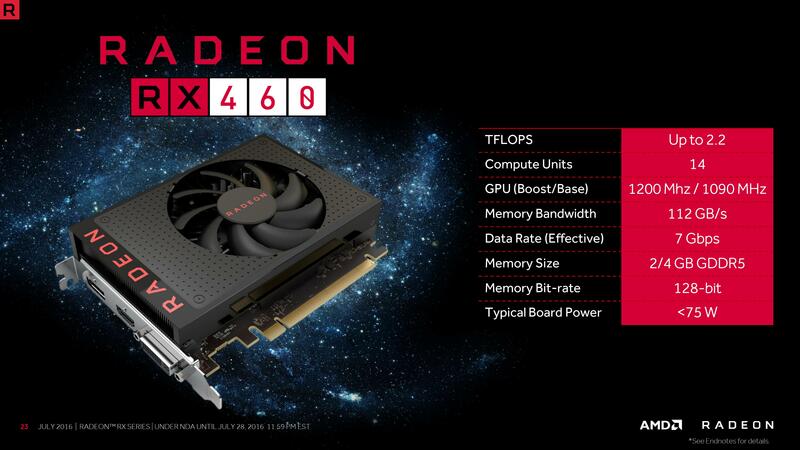 Up until this moment there have been many leaks and speculation regarding the RX 470 and RX 460. 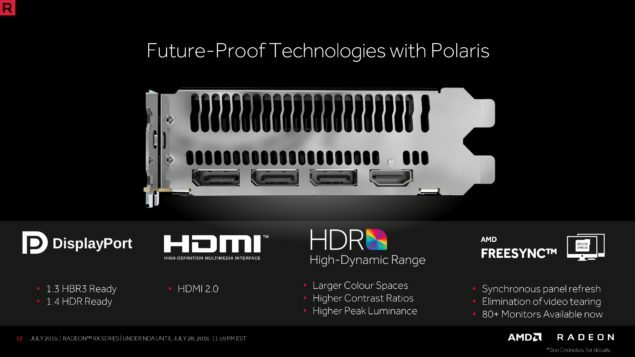 But right at a month from the launch of the RX 480 it’s time for official specifications regarding the two smaller siblings in the Polaris Lineup. Today is the official announcement of the RX 470 and RX 460 from AMD Radeon. 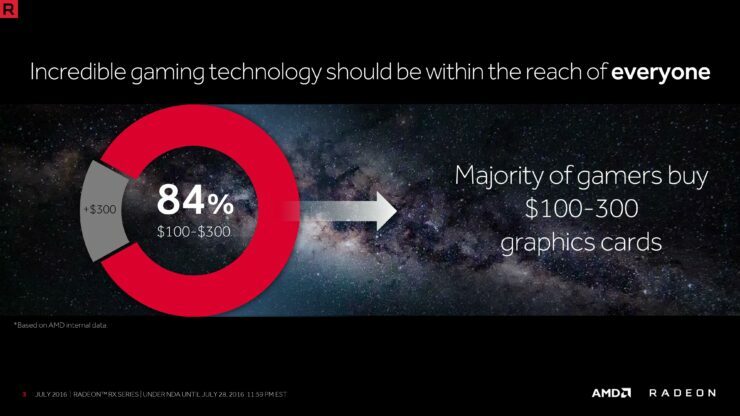 Carrying on the tradition that they started with the RX 480, AMD is hitting right in the heart of that meaty segment of the market consisting of 84% that spend between $100 and $300 on a graphics card. We’ll start off taking a look at the RX 470. 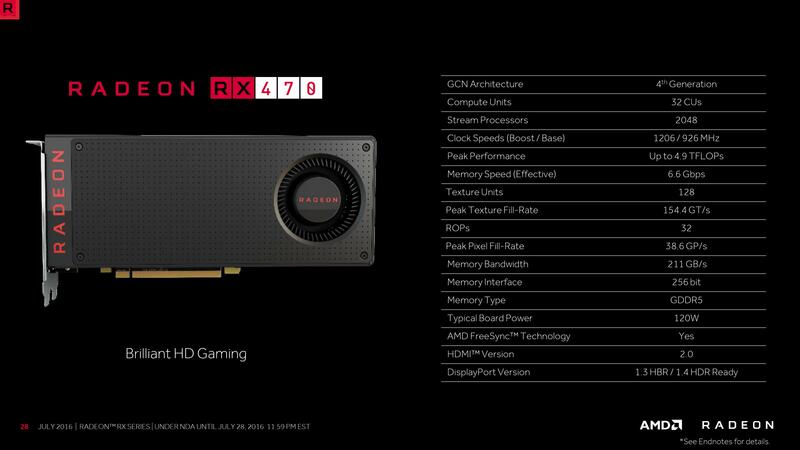 Coming in a 2048 Stream Processors and a core clock of 926/1206MHz (base/boost) the RX 470 is a slightly slimmed down version of the RX 480 core. 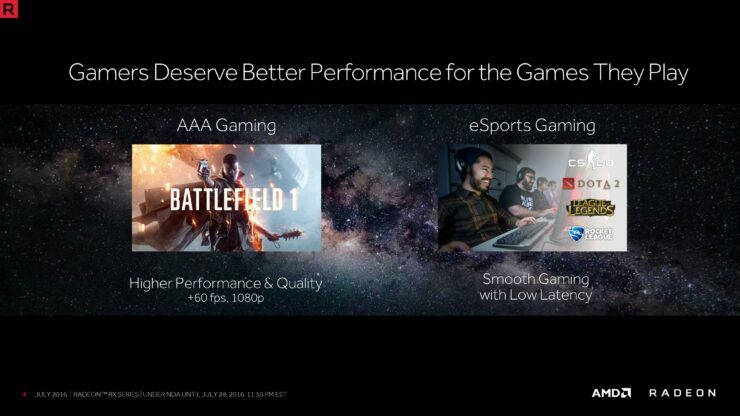 Don’t let that fool you however, recall how closely the HD7950 came to the HD7970 with just a slight kick in the pants. 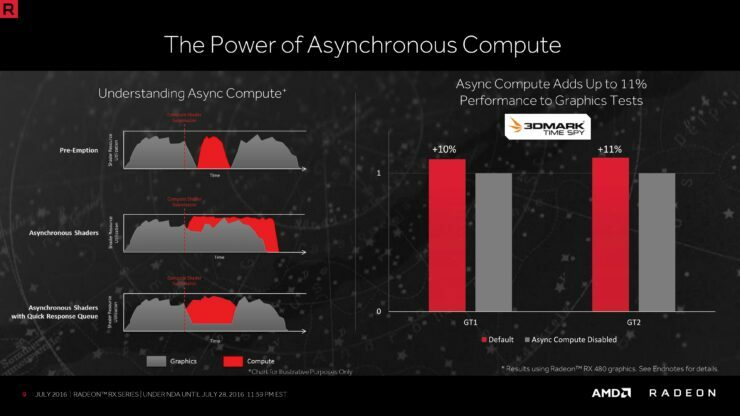 This is resulting in a peak single precision performance of just a hair under 5TFLOPS, coming in a 4.9TFLOPs compute performance. Memory speed is where a bit more of the cut back is shown as the 8GB RX 480 runs at a full 8Gbps the RX 470 has been pulled back to 6.6Gbps resulting in a memory bandwidth of 211GB/s. 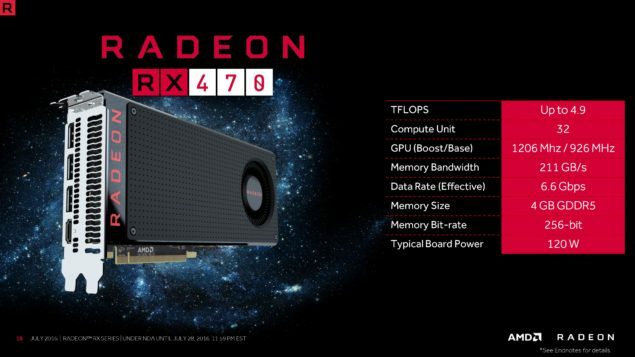 Rated at 120w TDP and needing only one 6-pin connector, we could see some very interesting AIB designs for the RX 470. 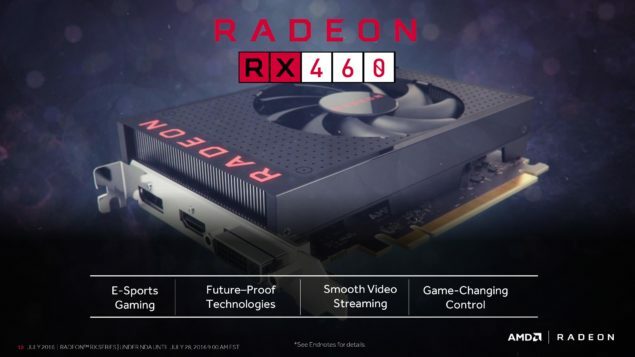 Good news, for reference design models anyway, the RX 470 is retaining the RX 480 standard I/O layout and all of the features that come with that. So DP 1.3HBR/1.4HDR Ready is still a thing and so if Freesync. 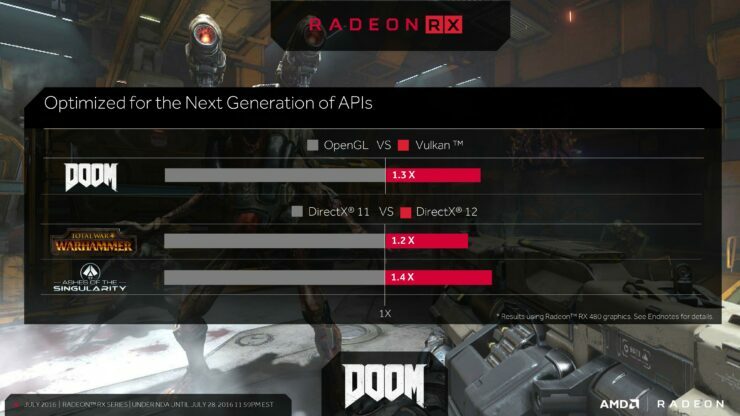 While AMD is marking this GPU for “Brillian HD Gaming” and showing charts indicating over 60 FPS performance at 1080p in games like DOOM, Fallout 4, and Hitman they aren’t marketing this one at VR. 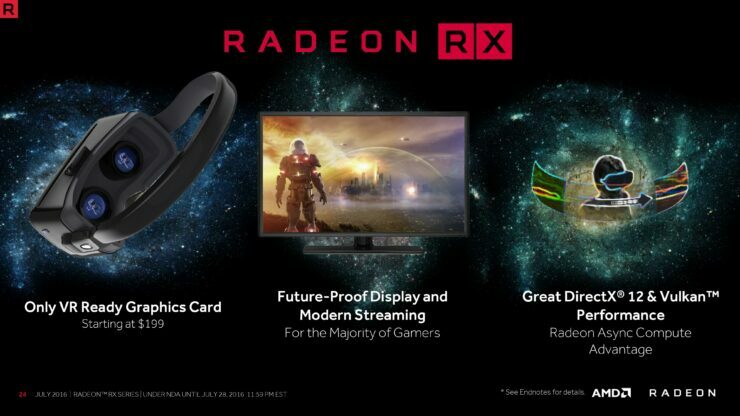 But they did state in a conference call that it is VR capable, they’ve reserved the VR Premium tag for the RX 480 and recommend that route if VR is something you’re interested in. Now on to something a ‘little’ more interesting. 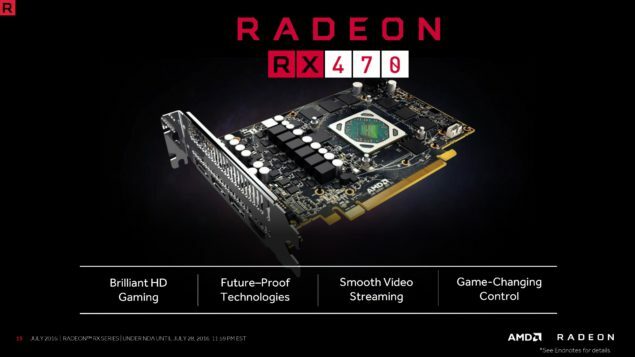 If the RX 470 was the younger sibling of the RX 480, then the RX 460 is it’s hyper active younger brother. 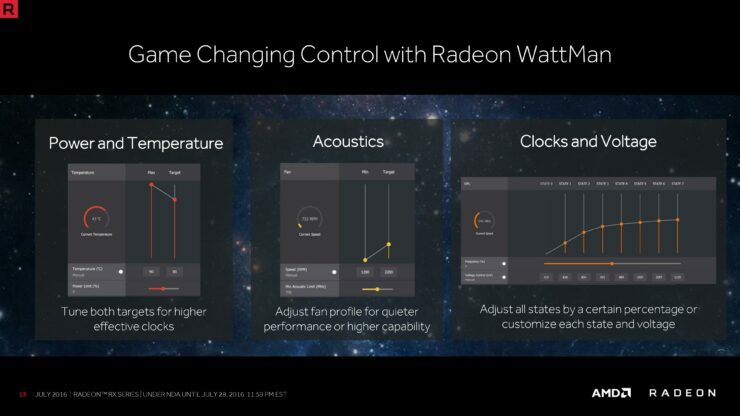 While at first glance I know a lot of the enthusiasts out there are scoffing at the idea of this low power, very budget solution. 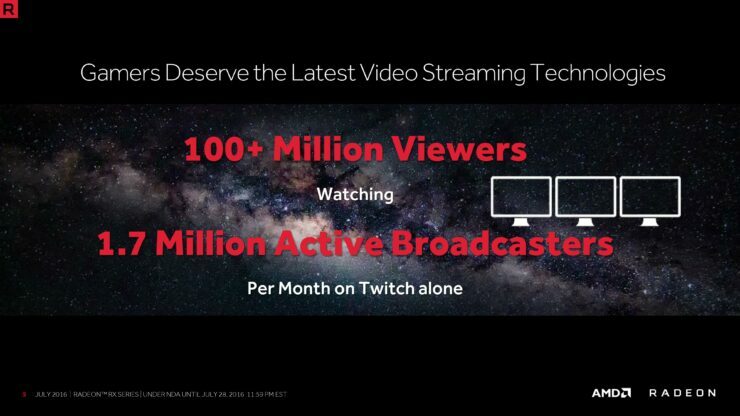 But truth is there are a lot of people out there who aren’t interested in more expensive cards because they playing MOBAs and Arena Shooters that do not require irresponsible levels of power. 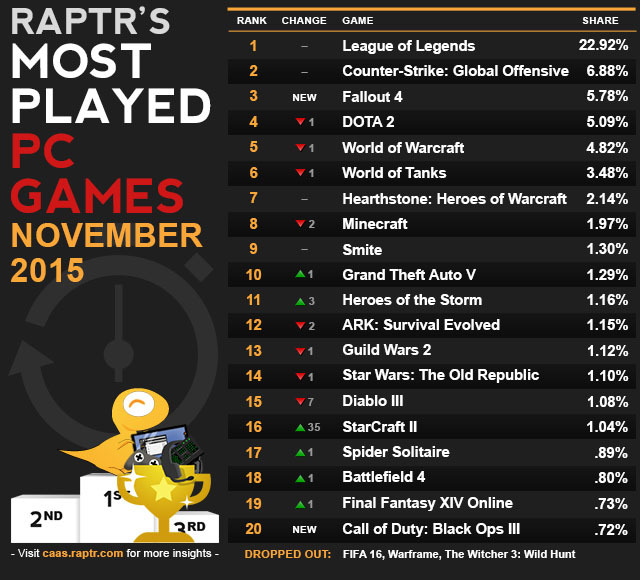 Admittedly, this list hasn’t been updated since December 2015, but at that time the top 10 games played only included 2 AAA titles, the rest being F2P MOBAs and shooters. 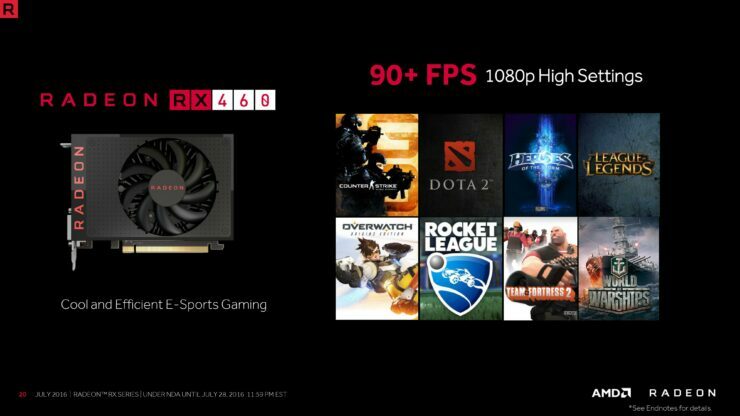 According to AMD the RX 460 is able to rip through DOTA 2, CS:GO, and Overwatch at >100FPS when run at 1080p High Details, and still able to slide past 60FPS for Grand Theft Auto V.
In terms of specifications the RX 460 isn’t going to be blowing anyone away. Featuring less than half the Stream Processors of the RX 470 at a count 896 chugging along at 1090/1200MHz (base/boost) the RX 460 cranks out 2.2TFLOPS of Peak Compute Performance. 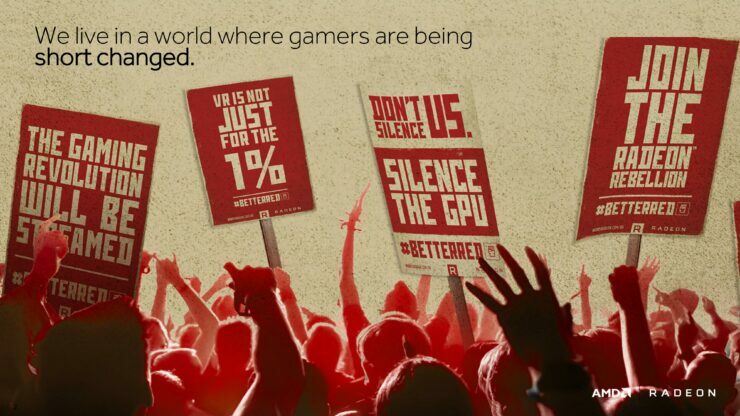 The memory configuration starts at 2GB of GDDR5, but the AIBs are free to increase this capacity if they wish, running at 7Gbps on a 128bit bus resulting in memory bandwidth of 112GB/s. 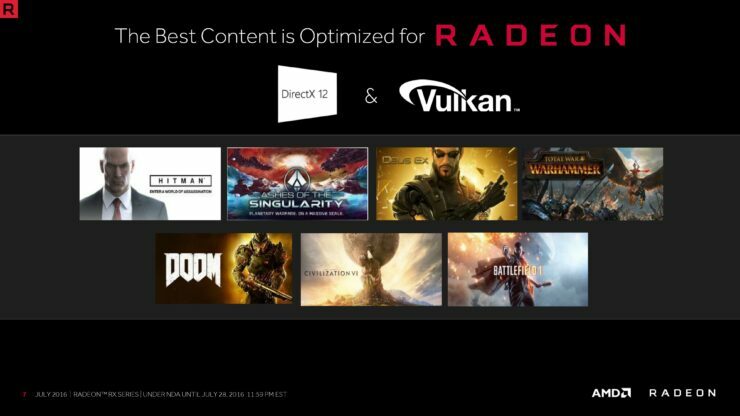 Even though the RX 460 has a more modest display I/O configuration it still retains DP 1.3HBR/1.4HDR capability as well as Freesync support, so no card is getting left out when it comes to feature set. All of these changes result in the RX 460 being able to feature a >75W TDP, so get ready there will be versions of this card to come with sans 6-pin connector. 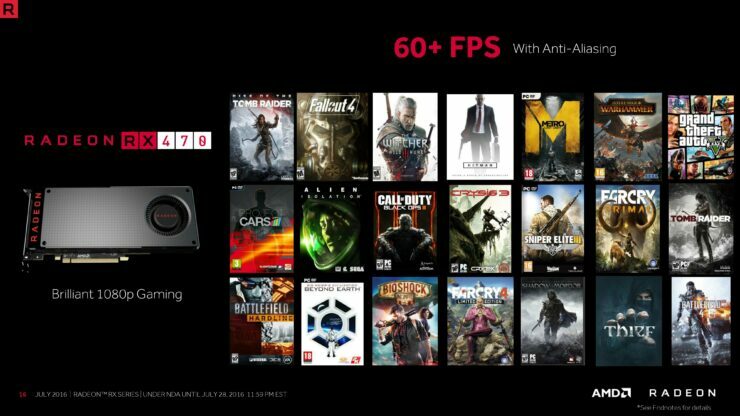 And knowing that it’ll be faster than a GTX 750ti and being the only modern capable graphics card for good PC Gaming, this could help bring a lot of new faces to the PC Gaming world. While we don’t have very many details regarding this, I do know from the call with AMD regarding the RX 460 you can expect to see the full RX 460 shipping in laptops. 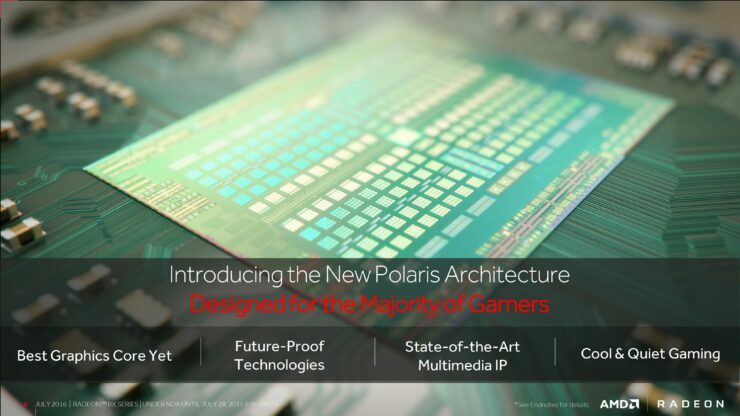 This is exciting, because we haven’t seen a discrete mobile chip from AMD in quite some time. 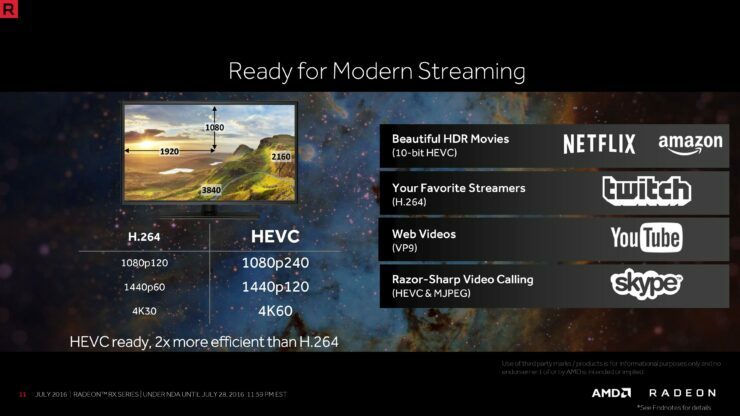 I know there was the R9 M290X, but even that was Pitcairn based from the HD7000 series. 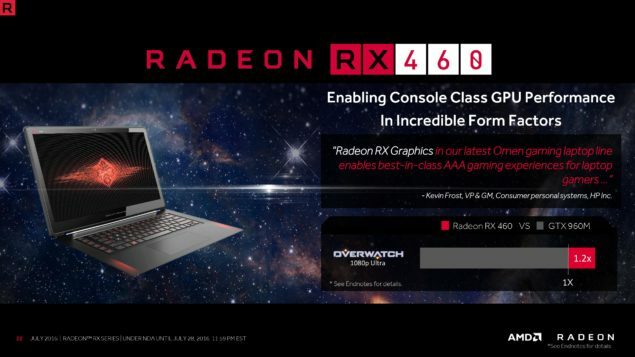 Again, full RX 460, not a cut down mobile variant with the same name, so we are finally going to see some decent competition again in the mobile market in mid-range gaming laptops and not just the low cost solutions. 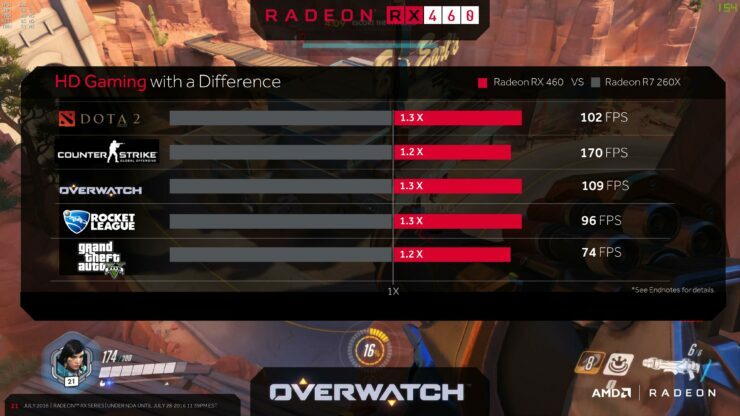 As far as performance numbers go all we have is one slide stating the RX 460 is around 1.2x the performance of the GTX 960m in Overwatch, which ain’t bad folks. 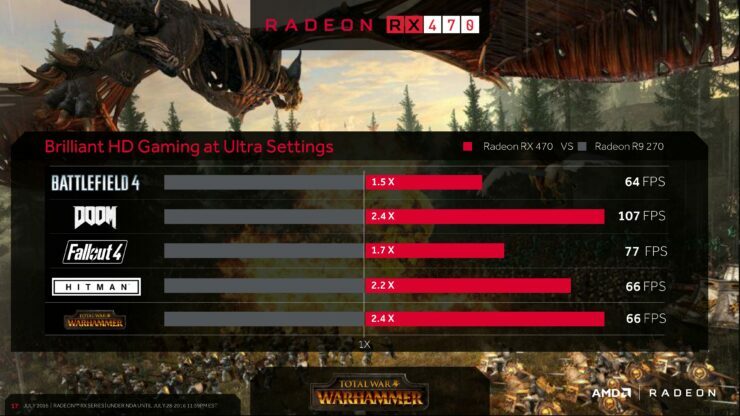 For those interested, based on the footnotes Overwatch was run at 1080p Ultra settings and landed the GTX 960m at 52FPS and the RX 460 at 62FPS. 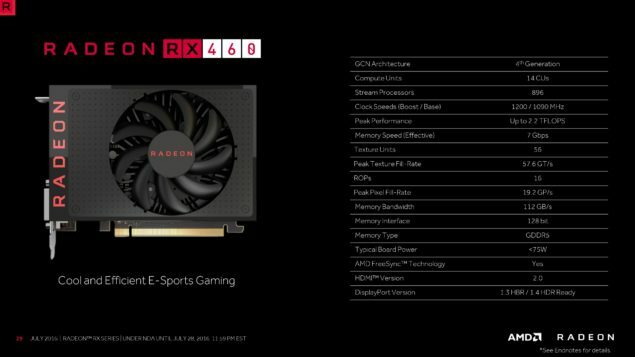 Well, there we have it folks, the meat of the RX 470 and RX 460 officially laid out for you. 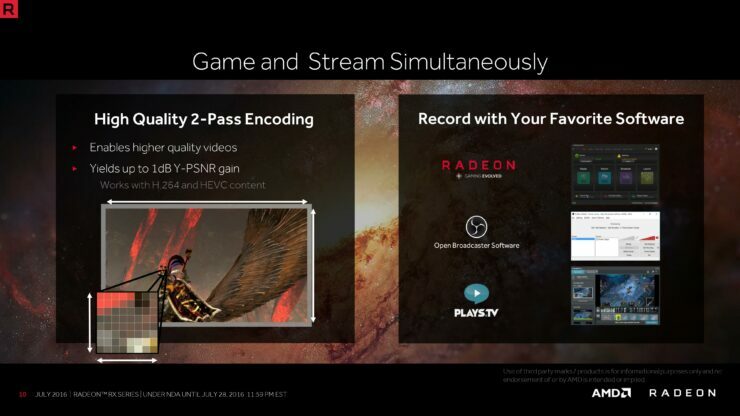 We’ve decided to release the rest of the slides from the press call so that if anyone was intersted they could dig through and see what else was said throughout. 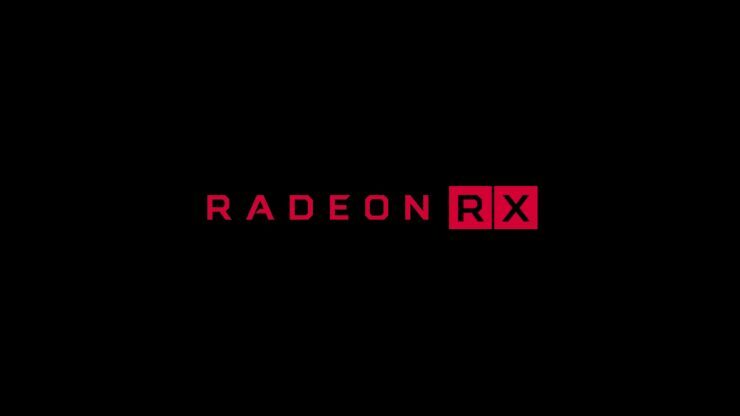 But let us know your thoughts on the RX 470 and RX 460, specifically the strong step AMD has taken in the mobility space.